Da Dronero risalire la Val Maira lungo la SP 422 in direzione Acceglio. Al bivio di Ponte Marmora, prendere a sinistra e proseguire per Marmora. Raggiunta Borgata Vernetti, attraversare l’abitato, superare il Municipio e dopo 5 minuti si raggiunge la locanda Lou Pitavin. tel. + 39 0171 692929 – orari: linea Cuneo – Acceglio. 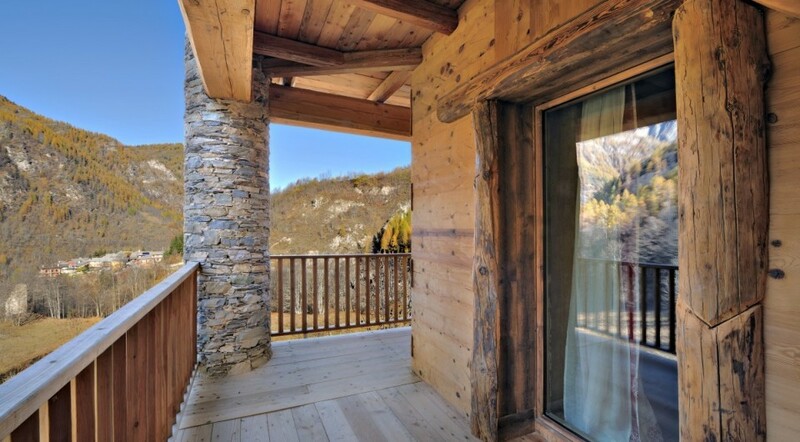 “We opened the Locanda Lou Pitavin in 2000 to realize our dream of living in the mountains. We are in Val Maira, the most wild and unspoiled valley of the Hautes Alpes. Year after year we tried to improve our building by focusing on comfort and flexibility with bedrooms boasting elegant lofts that can turn into small shelter-like rooms, so as to accommodate even many companies. OVER THE LAST 2 YEARS WE BECAME THE FIRST ClIMATEHOTEL (A CERTIFICATION ISSUED BY CASACLIMA) OF NORTHWESTERN ITALY. WE HAVE A DEEP PASSION FOR ENVIRONMENTAL SUSTAINABILITY. We chose this path because we address people who want to live and travel in a sustainable way without sacrificing the joy and the pleasure, people who are sensitive to culture and environment and willing to contribute actively to climate protection. We only use vegetal cleaning products with no chemical agents that have been tested on animals. The cuisine is refined and attentive to the rhythm of the seasons: a chance to discover the wonders of an ancient-rooted gastronomy and inimitable flavors. Buying local is one of our cornerstone, as it is the administration of genuine seasonal products and the choice of short supply chain to enhance local productions, promote local satellite activities, reduce the environmental impact of transport. Our suppliers of fresh food are actually closer to the territory of Cuneo, as for the other products we buy in bulk to reduce packaging. When it comes to purchasing products that have to be imported we turn to the fair trade network.